Phoenics Electronics is a leading stocking distributor of semiconductor and board level solutions, named to the Inc. 5000 2017 List, which tracks the fastest-growing private companies in America. In 2013, fully anticipating their upcoming compound growth pattern, they realized that they would quickly outpace their existing ERP system and began searching for more comprehensive software with higher capacity and greater customization abilities. After researching the competition, they knew that Axiom Software's ePDS would meet—and exceed—their growing capacity demands. Axiom implemented ePDS at Phoenics Electronics to increase accountability, enhance internal auditing capabilities, and implement effective OEM reporting for sales to contract manufacturers. 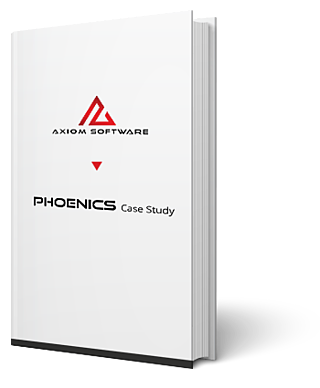 Download this case study and learn how Phoenics Electronics benefitted from working with Axiom.